Total recommended period of study: approx. 3 to 6 months or less. Continuous enrolment. No time limit. Cost: £225.00 (225 Pounds Sterling) Extra costs & shipping may apply for some non-EU countries - see apply page for details. Fee excludes textbooks. 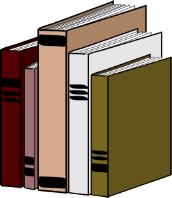 Students will normally purchase the books on-line from an internet bookstore. Textbook study. Written assignments based on textbooks and exercises. Assignment questions are issued by email and students return their written work by email. Grades and feedback are issued by email. This is a Diploma course in the art of journaling (personal creative writing) for the purposes of self-exploration, self-growth, self-expression and/or self-therapy. The course is primarily for counsellors, psychotherapists and helping professionals who would like an additional tool for assisting clients, particularly those recovering from trauma. It may also be taken for self-development alone though module three of the course concentrates on how therapists can facilitate the techniques - information that could also e useful to creative writing groups. The course may also help people thinking of writing their memoirs, life story or autobiography. If you are a ghostwriter commissioned by someone to work on their memoirs, journaling techniques could be used to encourage writing draft material to be worked into the book. The course is in three parts. Part One introduces the student to the art of self-expression through writing through a set of warm-up lessons with illustrative essays. The lessons concern the emotions evoked by starting to write, handling memories, the process of allowing the writing to flow and fitting writing into your life, as well as about strategies to get you started, keep you writing, and use time, further reflection and editing skills to hone what you have written. Part Two looks at how various writers have used poetry, prose and memoirs to tell their stories, and gives further instructions and exercises for creating your own work. Topics used as writing examples and/or stimuli include relationships, stages of life, childhood, trauma, illness, disability, caring, bereavement, and spirituality. Part Three delves further into using journaling as a tool in counselling, coaching and therapy, giving you a professional toolkit. Topics covered include applications for individuals and groups, sample clinical applications, practical tips and techniques, exercises, case studies and the use of journaling in supervision (including self-supervision and self-reflection). If you have taken the previous version of the course and wish to study the third module, you can do this (subject to acceptance) for £ 25 plus cost of textbook and earn a certificate of completion. 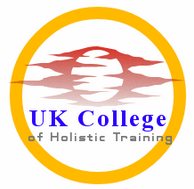 Successful graduates will receive the Diploma in Creative Therapeutic Journaling awarded by UK College of Holistic Training which is a private UK qualification. The course is accredited by ACCPH for professional development purposes. Course graduates may use the postnominal initials Dip. C.T.J. Please see our FAQs page for general information about practising counselling and psychotherapy in the UK and elsewhere. Killick, John and Schneider, Myra. Writing Your Self: Transforming Personal Material. London and New York: Continuum, 2010. Weldon, Michele. Writing to Save Your Life: How To Honor Your Story Through Journaling. Hazelden, 2001. Students will need to purchase these books.